As you’ve probably already noted, I am a huge Chicago Cubs fan. I bought my tickets and I was ready to go to the Cubs/Rockies game in Denver, all that was left was to start singing “take me out to the ballgame”! The drive over wasn’t too bad and I stopped in Frisco for lunch. They have a Smiling Moose Deli and I absolutely love their gluten-free sandwich choices. 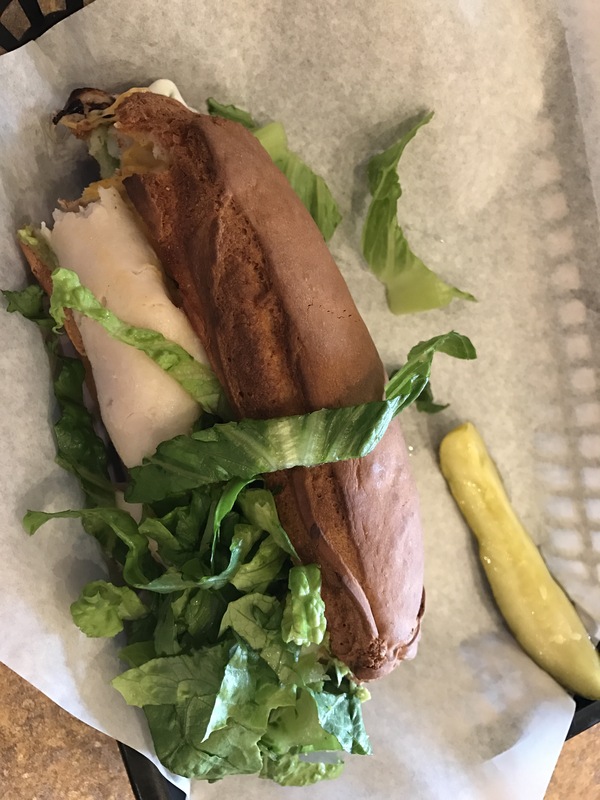 The server was very good at letting me know which sandwiches could be made gluten-free and I proceeded to order the “dude ranch” which has turkey, bacon, avocado and a bunch of other stuff. It was amazing! Once I got to Denver, it was time to hit the ball park! It had been raining most of the day, even a huge storm with up to baseball sized hail! There was hail on the side of the road and at first I thought they were snowdrifts. At the ballpark, I headed straight for the gluten-free concession stand. Aramark has done a fantastic job of making sure that there are gluten-free options at the ballparks that they take care of. I ordered a hotdog (with peppers), chips, and an Angry Orchard hard cider. 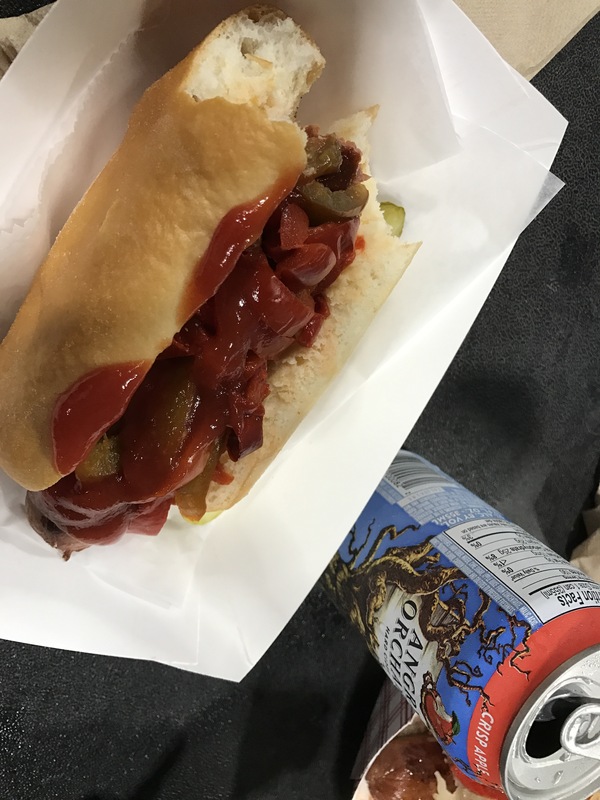 I was super impressed when somebody came over with a foot-long hotdog from a “regular” stand and was going to put ketchup on it. The gal in the concession stand stopped him and told him that the condiments within their area or for gluten-free only. That is fantastic! They really do care about gluten-free eaters. I went back later for an Udi’s chocolate chip cookie. It was good as well but not sure that it was worth the $3.25. Much to my dismay, the game got rained out. Since I was in Denver, I decided to find the nearest Snooze. 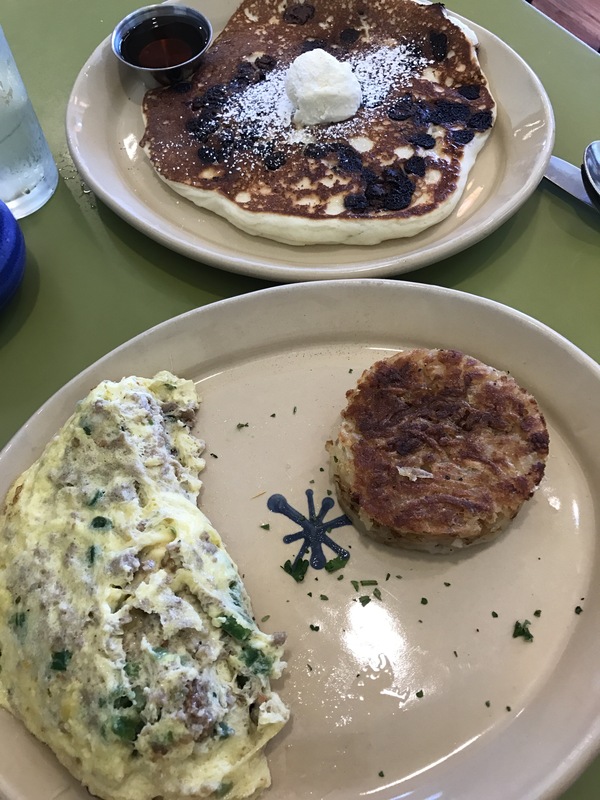 Snooze is an eatery that is amazing for breakfast! I ordered an omelette (jalapeño, jack cheese and sausage), their hashbrowns, and a gluten-free chocolate chip pancake. It is well worth the time and the calories! Despite not being able to go to the game, the food was worth the trip. I’m always excited to see what Denver has to offer for eating establishments!